As a dude who had a Yacht Rock Birthday this year (where I made everybody listen to “Ventura Highway” like three times in a row before we got to “Summer Breeze”), it does my heart good to hear somebody embracing their inner soft-rocker. Waiting For the Sunrise almost out Autumn Defenses John Stiratt’s Autumn Defense in the ’70s nostalgia department; perhaps not coincidentally, Vandervelde plays on ex-Wilcoer Jay Bennett’s solo stuff (Jay co-wrote a song here). I wonder if that means Jeff Tweedy has a soft spot for Todd Rundgren. 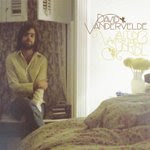 Anyway, Vandervelde — lead-off track “I Will Be Fine” is sunny enough to make “Summer Breeze” sound like “Winter Tornado,” (a compliment!) but dude lays off the cheesier stuff for the most part, favoring a somber rock approach that’d make Jackson Browne or Elton John (or, uh, Ryan Adams) proud. The title track is the stuff of Madman Across the Water legend, broken-hearted and mightily lunged. “California Breezes” is more “Running on Empty” that it is windy, but it’s bright enough to warrant the title. There’s not a loser in the bunch, but there are losers populating them: lost lovers, slobs, a guy who isn’t “a fool, but I’m not the devil.” A few fellas who wouldn’t mind a week or two out on the yacht.